Spinach is an economically important vegetable crop worldwide. It is considered healthful in the human diet due to its high concentration of nutrients, such as beta carotene (pro vitamin A), lutein, folate, vitamin C, calcium, iron, phosphorus, and potassium. However, spinach also contains higher concentrations of oxalic acid than most crops. Oxalic acid, or “oxalate,” is a naturally occurring plant chemical. The role of oxalic acid is unclear, but it is usually thought to be a useless end product of carbohydrate metabolism. A major negative impact of oxalate in the diet is its possible link to kidney stone formation. Foods such as beets, rhubarb, strawberries, nuts, chocolate, tea, wheat bran, and almost all dry beans are known to increase oxalate in the urine and may contribute to kidney stone formation. In addition, oxalate can react with calcium, iron, and other minerals to form crystals that inhibit mineral absorption. Scientists with the Agricultural Research Service’s (ARS) Crop Improvement and Protection Research Unit in Salinas, California, and the University of Arkansas conducted a study to find genetic components related to oxalate concentrations in spinach. By analyzing the genetic code of over 300 spinach varieties, ARS geneticist Beiquan Mou and his university colleagues identified 6 DNA markers linked to genes that contribute to oxalate concentration. These markers may be useful for breeders to select germplasm for reduced oxalate concentrations in spinach through marker-assisted selection. 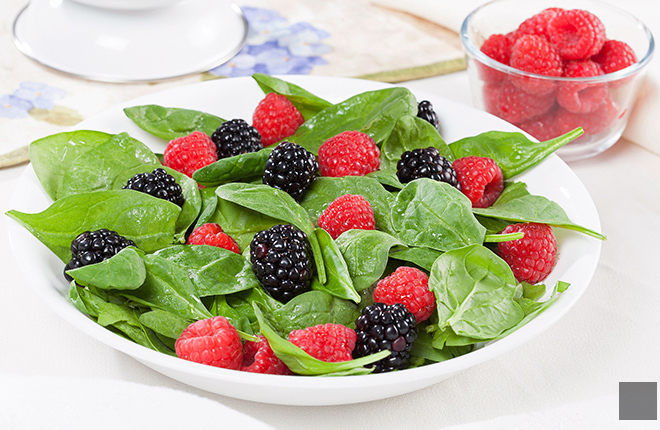 Among the 300 USDA spinach accessions evaluated in the study, 8 had concentrations less than 780 mg/100 g based on fresh weight. “These eight accessions may be used as initial sources of low oxalate concentration genes in spinach breeding efforts,” says Mou.—By Sharon Durham, ARS Office of Communications. Oxalate is linked to kidney stones. ARS scientists found spinach plants with low oxalate levels. These plants may be used to breed spinach with less oxalate.